One of the key factors in optimizing a process plant's performance is maximizing the value generation of the asset. This maximization of asset performance can look different depending on the business drivers at the time, an example of which is the current sales market for your commodity. In a sales-constrained environment, the process plant driver may be to extract as much product as possible while staying on budget. In an unconstrained sales environment, it may be to produce as much product as possible and improve the ROI on the asset. The latter appears to be a more common approach in mining today as the process plant is often the bottleneck of the mine operation and can limit overall mine production capacity. Process Plant Optimization, why should we do it? 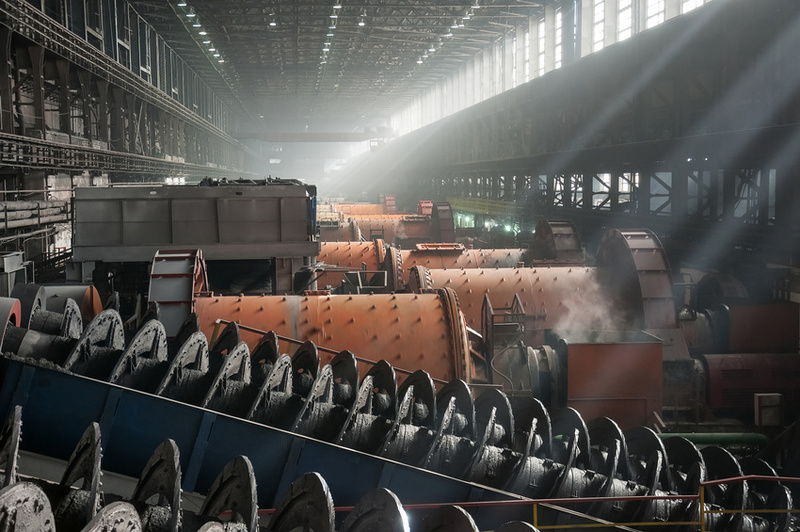 Apart from being typically the most expensive capital asset in the mine, which tends to suggest the process plant should be the constraint by design. Process Plants have multiple factors, drivers, and inputs that challenge optimum performance daily. Key Performance Indicators (KPIs) for different departments within the same process plant can be in conflict with the desire to maximize production. Departments such as Maintenance, Operations, Metallurgy, Reliability all with slightly different functions and KPIs creates uncertainty around what the priorities are. Add to that other external impacts such as permits, isolation's, external suppliers of Power, Oxygen or Acid, how material is delivered from the mine to the plant, even the size fraction and material type can impact process plant performance. With so many stakeholders and potential inputs to a process plant, it is quite difficult to work out what the priorities are for optimization at a daily, weekly and monthly level. Couple this complexity with the potential movement of the internal process plant bottleneck, and identifying priorities becomes the biggest challenge for any optimization project. Now, some of the more mature process plants have automated downtime capturing systems, and some even try to track reduced rates. However, by design most of these systems capture only about 50% of available improvement opportunities. Events are often not quantified in production or revenue, and therefore it can be very difficult to work out if an event is actually a priority or not. This is especially true when time is used for loss quantification. The best way I have seen process plant optimization done is by establishing an OEE program designed to identify every relevant loss in production. Now this OEE model is not the stereotypical manufacturing OEE, as that does not work in mining minerals or metals for a list of reasons I am not going to cover here. However, by establishing a Production based OEE or Production OEE program, you establish clear, transparent optimization activities. All departments become part of the OEE program with a clear linkage to how each department’s KPIs flow into the overall OEE number. No more guesswork on priorities, no more calculations trying to understand the impact of the loss, no more complexity about where to deploy resources. It is all clearly visible. As an example, imagine understanding the impact in a zinc process plant of every activity in real time that caused the process plant not to produce at its maximum sustainable rate. This is regardless of how or where the loss has originated from. It could be a loader operator working slowly on a ROM pad. It could be a conveyor running below a target, a flotation cell under-performing, a pump trip, hard ore, a truck breakdown, power outages, bad weather or the impact of isolation's. It does not matter how the loss originated. Imagine understanding every single loss event, every single day, balanced by metallurgical and lab data. Optimization becomes easier with this level of information provided to all members and stakeholders. The biggest challenge I see in any process plant optimization initiative is knowing what to work on. I have found that OEE or Production OEE is a simple solution that removes the complexity around what activities are needed to optimize a process plant.